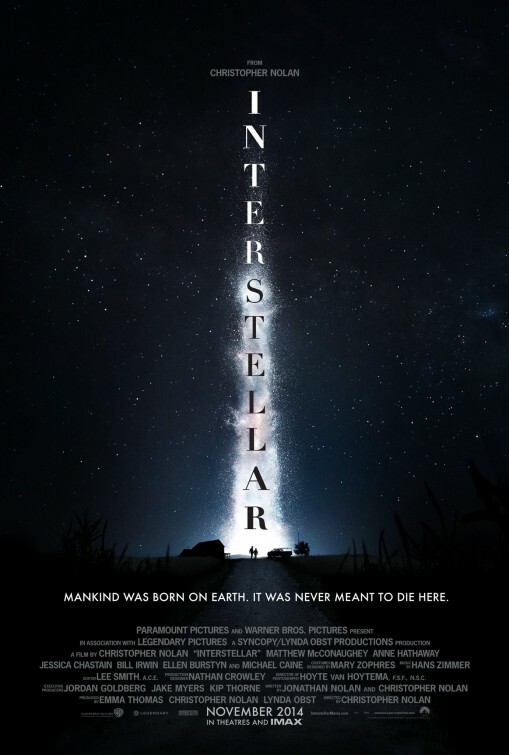 Thoughts: A film about the life of Stephen Hawking and his wife could, in the wrong hands, be the stuff of gauzy melodrama, the kind of film you’d see during the Hallmark Hall of Fame presentations on a rainy fall night (note: I do love the Hallmark Hall of Fame). 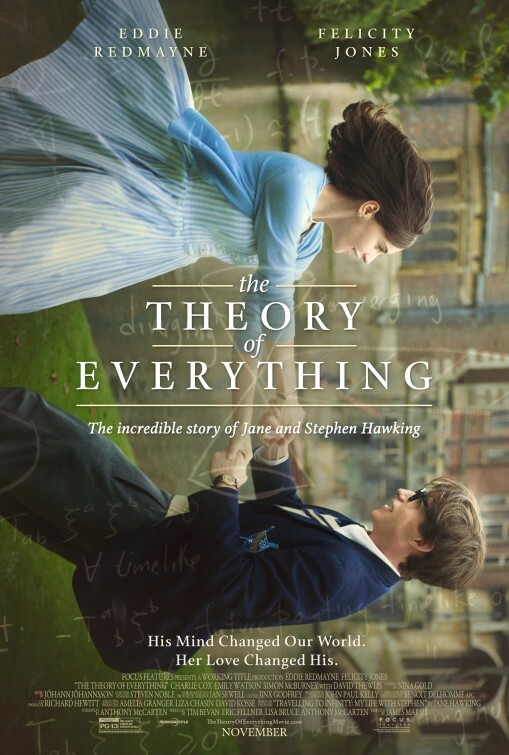 Viewing the trailer for The Theory of Everything it appears that director James Marsh and screenwriter Anthony McCarten have taken Jane Hawking’s book and brought it to the screen with gentle care for its emotional core. Eddie Redmayne (Les Miserables) is generating serious Oscar buzz for his performance as the brilliant astrophysicist diagnosed with an ALS-like motor neuron disease. Felicity Jones (The Amazing Spider-Man 2) is his wife Jane who accompanies him on his journey to a new understanding of life and how far love can take you. Though it must be noted Hawking and Jane divorced in 1995 (the same year he remarried…) I can see audiences being swept away by the overarching themes of love being the greatest victory. 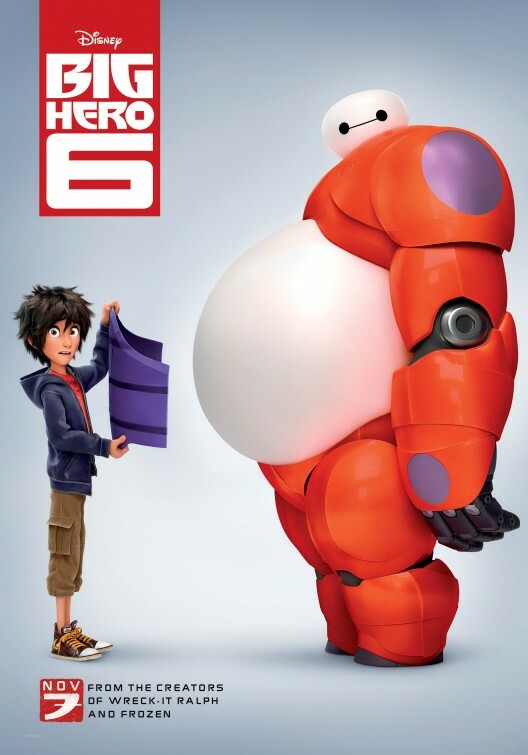 Thoughts: Representing the first animated collaboration between Walt Disney Animation Studios and Marvel, Big Hero 6 has the potential to show off the best of what two proven franchise starters can do when they put their creative talents together. Based on a comic book of the same name, it’s interesting that you can clearly see the Disney influence reflected in the look of the film and also a clear indication that this is a Marvel adventure through and through. I’ve had zero exposure to the source material so I can’t tell you how much of a fan base this is coming in with…but Disney had a whopper of a hit last year in the same time period (Frozen) and Marvel hasn’t stumbled yet. Expect big things for this big hero.